Now that you have decided to do an impression for reenacting, let us discuss a few things. "Shaved from the neck and tapered up to the top above the ears all the way around. The hair was usually very long on top, combed (& slicked) straight back from the forehead. If parted, the part is very high on the head." OUR SECOND MATTER OF DISCUSSION IS FACIAL HAIR. 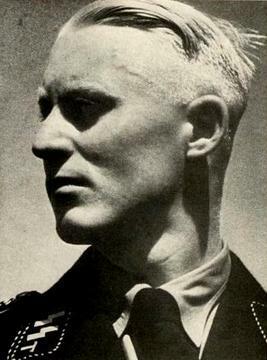 DURING THE SECOND WORLD WAR, THE GERMANS, LIKE MOST SOLDIERS EVEN TODAY WERE WELL SHAVEN, WITH NO FACIAL HAIR. 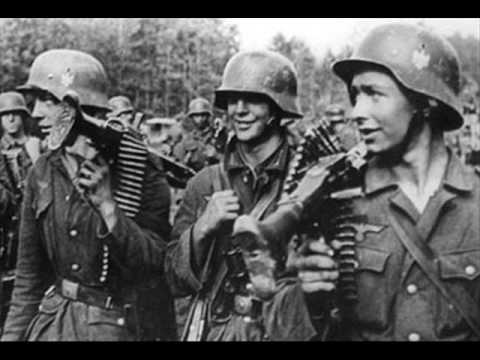 A FEW PHOTOS CAN BE FOUND WITH SOLDIERS WITH A MUSTACHE, ADOLF HITLER AND HIMMLER BOTH HAD ONE, BUT THE AVERAGE SOLDIER DID NOT. UNLESS YOU WERE A MOUNTAIN TROOP (Gebirgsjäger) OR ON BOARD A SUBMARINE, YOU DID NOT HAVE FACIAL HAIR. 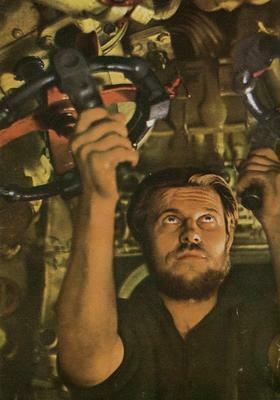 U BOAT SAILOR WITH BEARD, BEARDS WERE ALLOWED IN SUBS, DUE TO WATER CONSERVATION. FINALLY, TATTOOS. TATTOOS WERE FAIRLY POPULAR DURING THE SECOND WORLD WAR. HOWEVER, TO MAINTAIN REALISM ANYONE WITH TATTOOS SHOULD KEEP THEM COVERED. 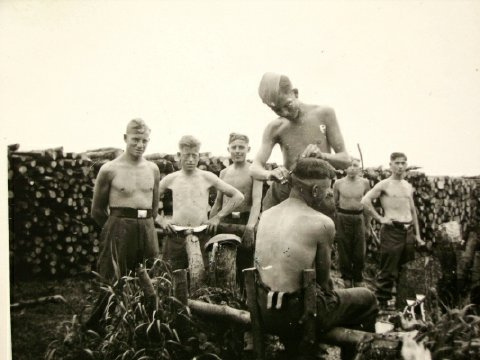 THROUGH ENDLESS HOURS OF SEARCHING, WE HAVE FOUND VERY FEW PICTURES OF GERMAN SOLDIERS WITH VISIBLE TATTOOS. I know some will think this article to be kind of pointless for reenacting, but it is the little details that add a certain aspect to the scenario. It is easy to do & will set you apart from the others.